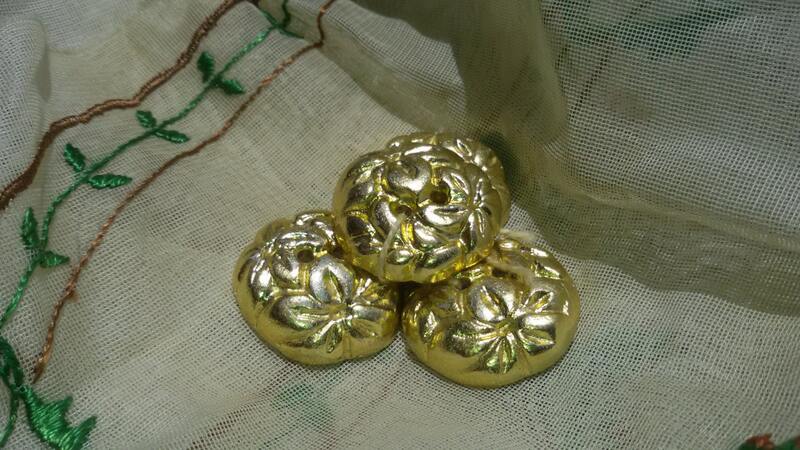 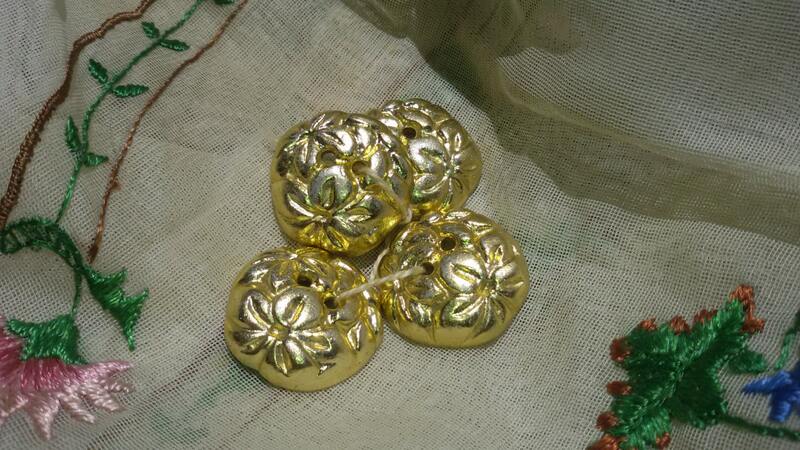 4 Gold Flower Buttons - Floral buttons on a round shape with two holes . 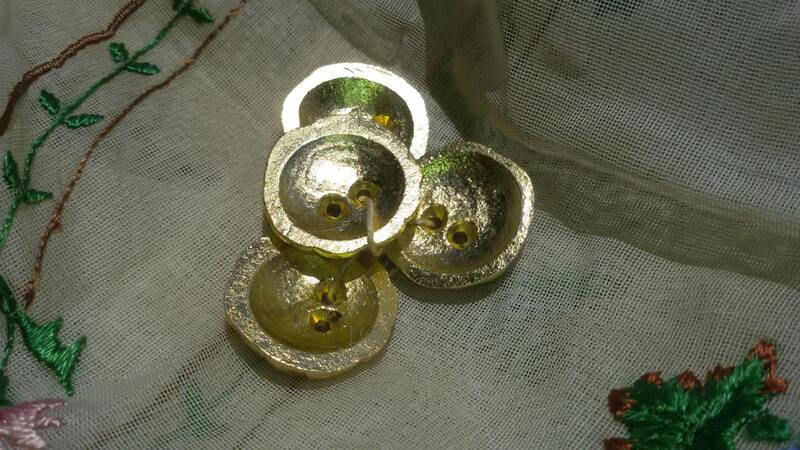 Set of 4 Metallic and thick buttons. 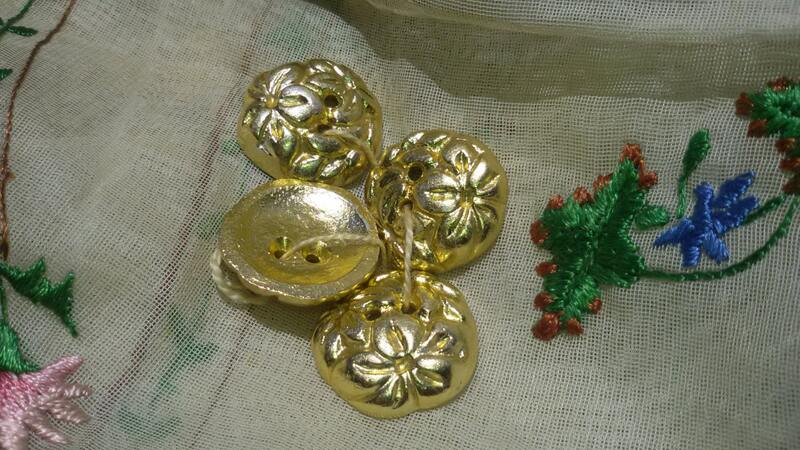 Beautiful jewel buttons to sew on clothes or to make jewelry assemblage !